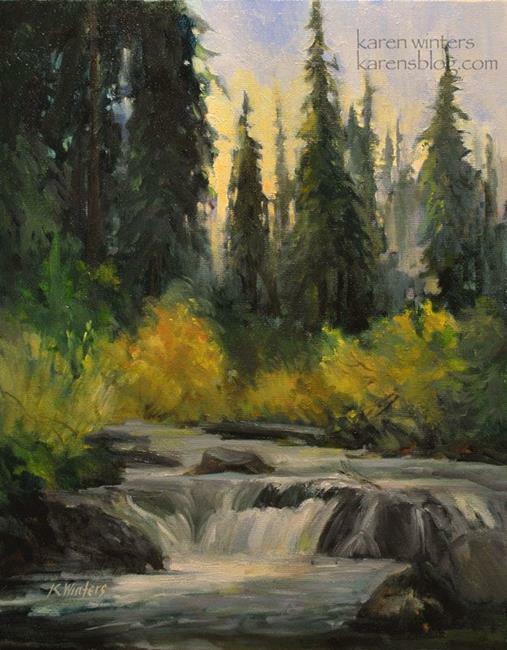 This painting represents a landscape in the Sierra Nevada mountains of California. Cool blue pine trees are balanced by the warm colors of the autumn trees and shrubs. The violet mountains recede giving a feeling of great depth and atmosphere. The colors of the scene are reflected in the rushing stream ans it goes to join a mighty river. The treetops are negative painted in an interesting and natural way.